Ford is one of the largest, and most popular, American car brands. When they say, “Built Ford Tough,” they mean it, but that doesn’t mean you will never need any Ford repair work done. Ford tough means the vehicles are built to withstand heavy use, but the parts and systems are still subject to wear and damage. The key to avoiding costly Ford repair is to have it done by qualified service technicians and to have it done as soon as a problem is detected. Putting off maintenance services or oil changes can lead to expensive repairs. 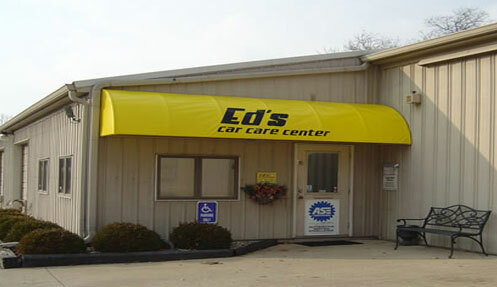 At Ed’s Car Care Center, we know how important your Ford is to you and how much of an investment it represents. Your choice in sedan, car, SUV or truck doesn’t just represent style, but a level of service and function you need. Our ASE certified technicians can diagnose and perform Ford repair or maintenance on anything from a Fiesta, Focus and Fusion, to a high performance Mustang or the workhorses of life – the Transit, E-series and F-series pickups and vans. We use only Ford approved replacement parts for our Ford repair work, meaning you leave with your vehicle the way it was intended to be. 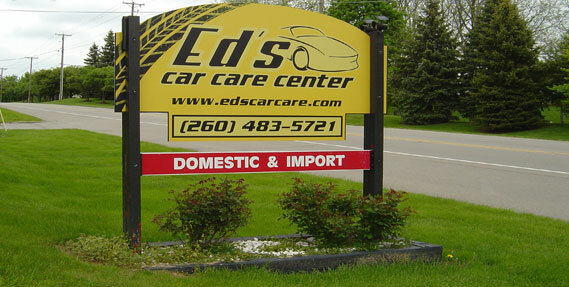 Call and make an appointment with us at Ed’s. We have a reputation in Fort Wayne for providing professional and quality repair work that is fast and convenient for you. Our friendly staff will help you find an appointment time that works with your schedule to keep you going.